Why choose an adjustable harness? We look at the versatile Petzl Aquila harness, a top spec harness for all mountain activities. With adjustable leg loops, the AQUILA harness is a high-end model ideal for technical and alpine climbing. Nice features especially the ice clipper slots. Rear loops tricky to access when wearing a pack. Haul loop unsuitable for heavy hauling. There’s a lot to think about when choosing a harness. Lightweight or features? Durable or breathable? Fixed leg or adjustable? We place a lot of trust in a climbing harness, it is the point at which the rope and you are attached together but they are not infallible and when they do fail it’s often catastrophic. Choosing a good harness is time well spent and you should think carefully about your full range of climbing before you rush out and buy one. I use 2 different types of harness, for work I look for a minimum of 5 gear loops as I am often carrying a lot of kit. For personal use I look for 4 gear loops and something that is slightly lighter. 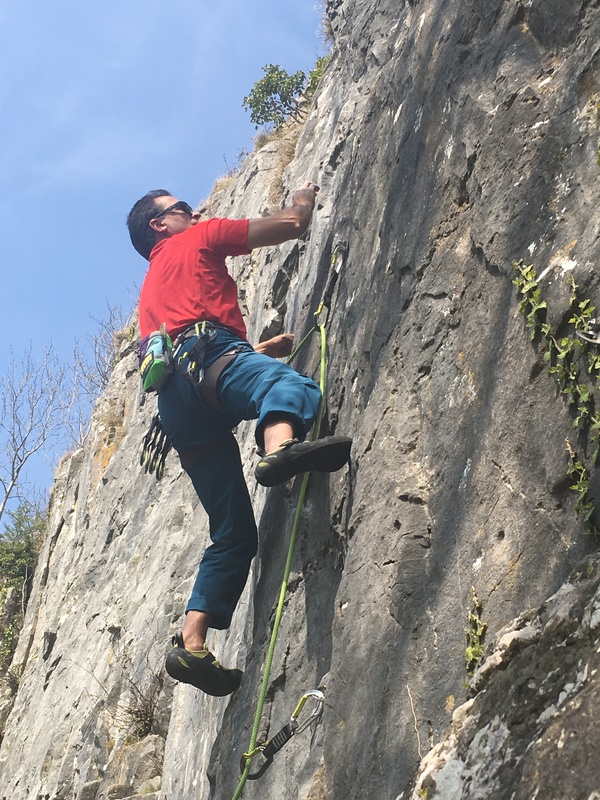 I always choose a harness with adjustable leg loops for both work and personal use as I can find myself sport climbing as well as winter climbing so the adjustable harness offers better value for money. The Petzl Aquila was versatile in all climbing situations. 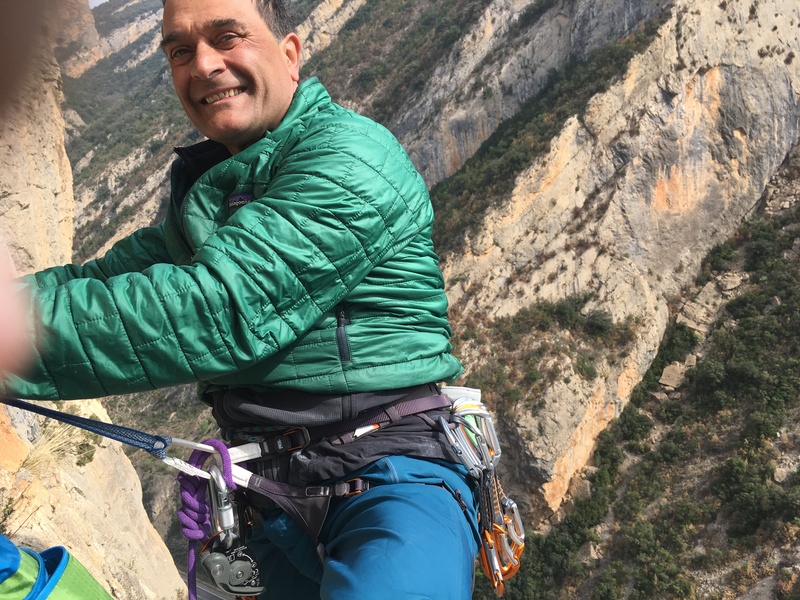 The Petzl Aquila harness is a multi functional, adjustable harness that is easily suited to all aspects of climbing and mountaineering from sport climbing in Spain to a multi day adventure on a north wall. It’s comfortable, has plenty of gear loop options and easy to adjust. All the elements needed for a great value for money harness that will serve you well for many years. The Aquila feels burly yet light enough to not get in the way when sport climbing and being a top end performance harness sits in the same category as the iconic Hirundos. So think technical harness and not a basic one, all the features point to this and the harness oozes quality and well thought out design. 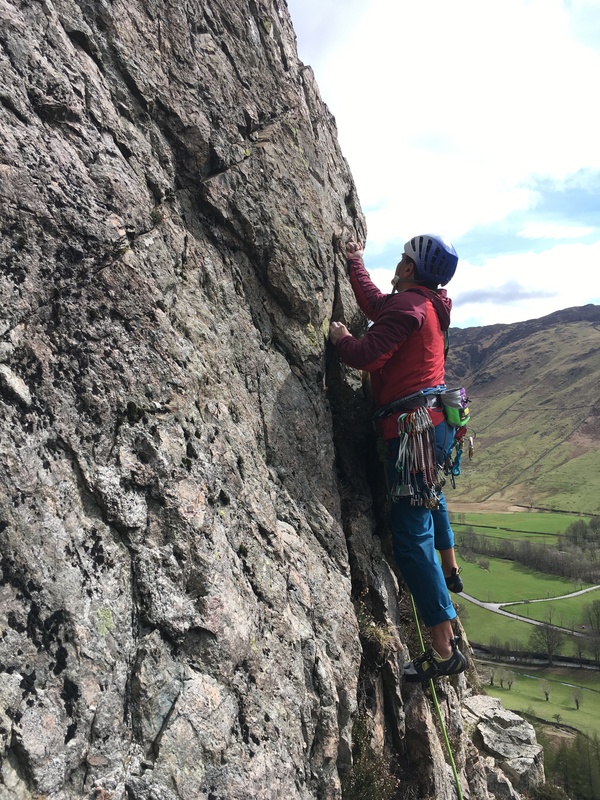 I have found the Aquila harness a superb climbing harness, I have worn it for single and multi pitch trad and sport and has been the only harness I have worn all season so far for my personal climbing. The FUSEFORM technology make the waist and leg loops thin but too thin to be uncomfortable on long, hanging belay sessions. The nylon outer material was burly enough to take the knocks and bumps of chimneying and thrutching, which is great as I’ve had some harnesses where the material has begun to wear, especially on the legloops. No sign of that so far and I don’t it will happen any time soon. So, a comfortable and durable harness is what you get with the Aquila. Super comfy on those big multi pitch routes. The tie in points are a really important part of the harness and I also spend a lot of time with clients ensuring they understand the importance of tying in correctly and generally being very observant when doing so. The Petzl Aquila has nice white coloured tie in points that are super burly and made using high modulus polyethylene. What, I hear you say? Well high modulus polyethylene is a high performance plastic that has the highest impact strength of any thermoplastic and is also very abrasion resistant. You may know it by it’s more popular trade names of Dyneema and Spectra. So it’s very reassuring that a lot of effort has gone into this area. It has a waxy feel to it but I ignored that after a while. The tie in points are white so that it is easy to see if you have missed a loop when you have tied in. The abseil loop is also made from the same material and feels nice and burly with plenty of stitching. So the Petzl Aquila scores top marks for safety and I feel it has been made really well. So what about the features? The harness has four gear loops, two rigid ones at the front that I used to keep most of my kit on. So easy for sport as it will eat up those 20 quick draws you will need for those 50m Spanish tufa fests. It will also eat up trad gear so I easily had all my wires, cams and still have space for 3 or 4 quickdraws on each side of the front loops. The back loops are more flexible and sit flat against the body. This is designed so that it is more comfortable to use with a pack on (something I spend a lot of time doing) and the harness is indeed very comfortable with a pack. I have decided that the best use of these gear loops is for the extra quickdraws, screwgates, slings and pussick loops as well as other small items such as a knife and, sometimes, a jacket or shoes. There is, however, compromise here as I found accessing this gear troublesome at times when I had a pack on. Without one though, it was fine and for normal climbing the rear loops were fine. The loops are finished off with a sewn haul loop at the back, most people I see climbing have no idea that this is what this is for and usually hand their chalk bag off it. This is more than suitable for hauling a tag line or spare rope but I don’t think you would want to haul a pulk with it. The gear loops on the Petzl Aquila were plenty big enough for a trad rack. Finally the Aquila has 2 ice clipper slots and you might find these tricky to find as they lie flat against the waist belt! One of the only harness I have used that has done this and a genius bit of design. They fit a standard Petzl Carritool and they do force the harness into the waist a little but I’m usually wearing a lot more layers when winter climbing so didn’t notice it too much. But I love the way the loops lie flat so don’t get in the way when rock climbing. The leg loops are made using the same FUSEFORM technology and felt nice and comfortable and fully adjustable using the polished and anodised buckles. I have always used adjustable leg loops for winter and alpine harness after nearly having a nasty accident on a very steep snow slope trying to get my harness on over my crampons. With adjustable ones I can fully take them apart and buckle them back together again; just remember to put them back together again correctly! The leg loops are finished with 2 easy to use elasticated retainers that were a breeze to put back on after that pesky toilet stop. So in conclusion the Petzl Aquila harness is a great all round harness for those looking for a robust and well designed harness for all climbing activities. I have used it for sport as well as winter climbing and found it well featured and great on those long hanging belays when multi pitch climbing. The colour options come as just Grey (although it looked more brown to me) and it has a great size range from XS to XL.